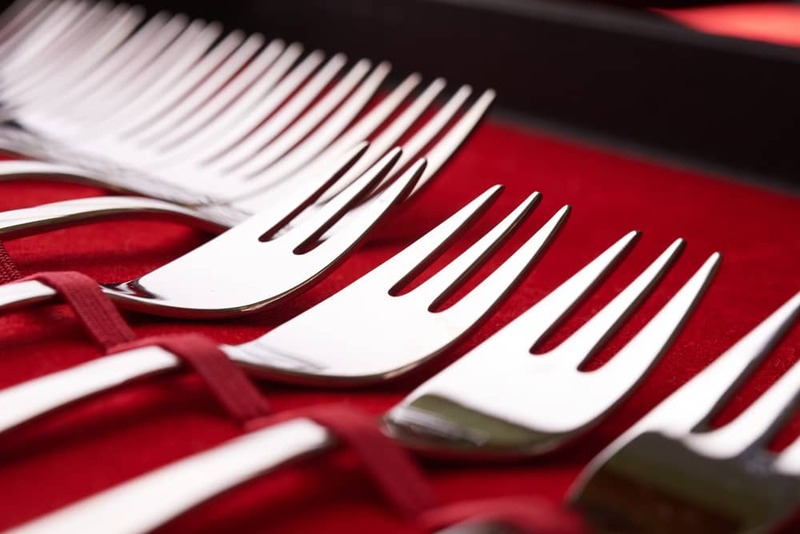 A collection of silverware is a valuable family asset, often passed down from generation to generation as an heirloom. When the time comes to put such a collection in storage, you will want to take every precaution to preserve your silver as effectively as possible. Affordable Family Storage in Des Moines offers climate-controlled storage units that will help ensure your valuable assets are protected and preserved. For more information about storage solutions for silver, read on in today’s blog. Treated flannel bags are ideal for storing your valuable silver items. The flannel material has been treated with a silver nitrite mineral compound that prevents tarnishing. Make sure to separate silver items within rolls of flannel or other wrapping materials, because silver is easily scratched, and if pieces rub together it will damage the surface of your items. If you use paper materials for storing your silver, always make sure to use acid-free paper products. Paper products that are not acid-free will tarnish your silver, particularly over long periods of storage. Unbleached cotton muslin is also a good option to safely store silver. Never use plastic wrapping products for your silver. The plastic will trap moisture in with your silver, causing serious damage. Over time, plastic wrapping will affix to the surface of your silver, causing damage and resulting in a difficult process of removal and cleaning. Ideally, the best place to store your silver items is a specially designed wooden chest lined with treated flannel. These are designed specifically for storing silver items and they are a great option, but they are usually quite expensive. A simpler option is a sturdy plastic container with a tight-fitting lid. As long as your silver is properly packaged, a simple plastic container will protect your silver items quite effectively. It may seem surprising, but make sure to avoid storage containers with an air-tight seal. An air-tight seal can cause moisture to accumulate on your silver items. It is better to use a tight-fitting lid that still allows the items inside to breathe. Include a desiccant material to absorb moisture in your storage container. A silica packet is a good choice, or simply wrap a piece of non-toxic white chalk in acid-free paper or muslin cloth. This will prevent moisture from building up in your containers and protect your silver from tarnishing. Temperature variation and moisture penetration can wreak havoc on a valuable collection of silver items. Affordable Family Storage offers climate-controlled storage units that actively manage temperature, humidity and air quality, so the items you put in your storage unit are safely preserved. At Affordable Family Storage, we want to protect the things that are important to you. Whether your silver collection is a cherished family heirloom or a personal investment, you will want your valuable collection protected and preserved. In addition to climate-controlled storage units, Affordable Family Storage offers 24/7 security surveillance, fenced and gated facilities, and door lock alarms, so everything you store with us is always safe and secure. For more information about the wide variety of features and storage units available, contact us today.